When you need a guitar for hotel rooms, festivals and tour buses, size is important, but you don't want to sacrifice on quality. So Yamaha h.. When you need a guitar for hotel rooms, festivals and tour buses, size is important, but you don't want to sacrifice on quality. 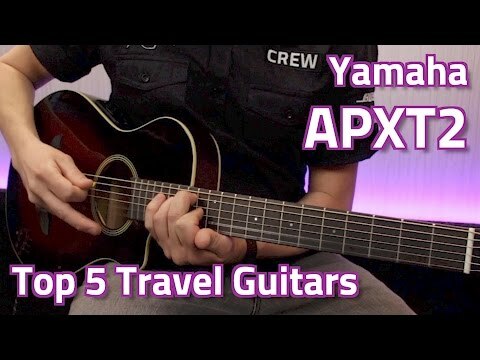 So Yamaha have taken the design, construction and sound of the Yahmaha APX500II (the world's best-selling electro-acoustic), and put it all into a three-quarter size APX guitar that's perfect for travel. The T2 comes with a gigbag.